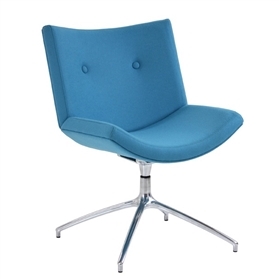 A very stylish piece great for receptions or general lounge areas. A choice of with or without button detail. Delivery - approx 4 weeks Guarantee - 5 Years *The colours shown and described are provided as a guide only. Fabric Samples are available on request.